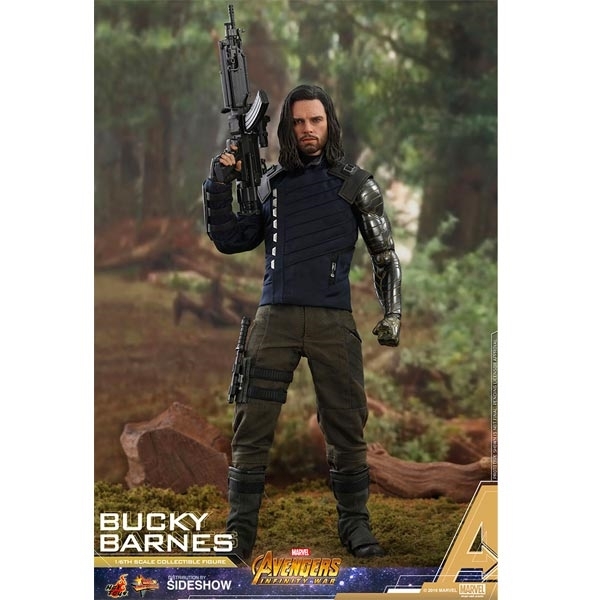 "And a semi-stable 100-year-old man…" Friend turned foe, and maybe back to friend again, Bucky Barnes remains under the protection of Wakanda. 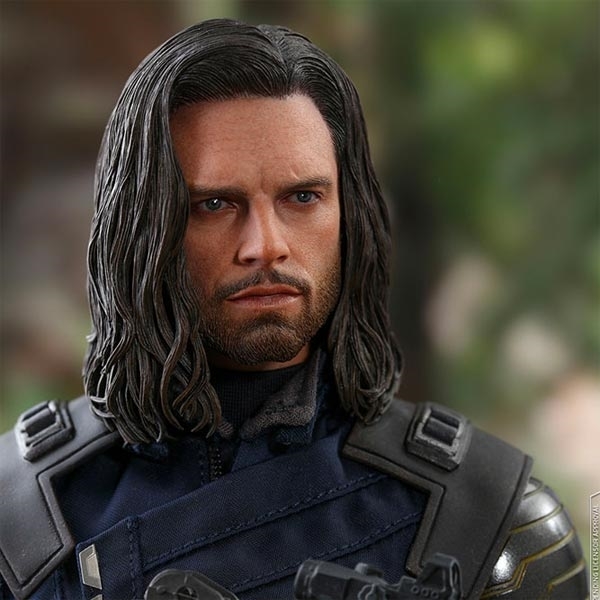 Returning as one of the most conflicted characters in the Marvel Cinematic Universe, Bucky is ready for another fight. 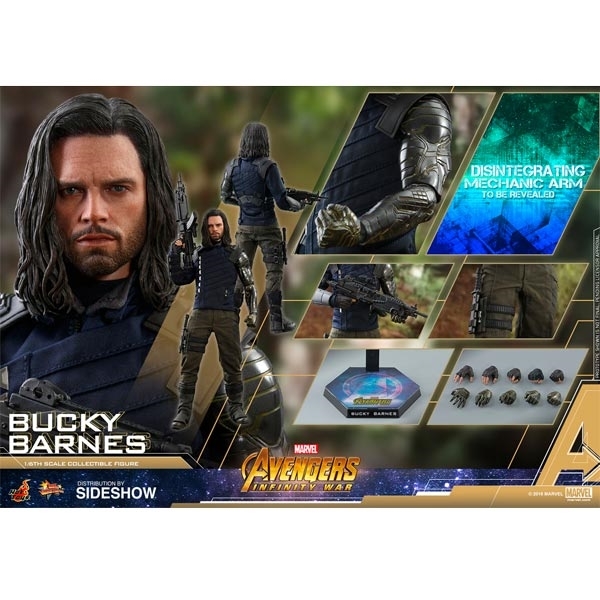 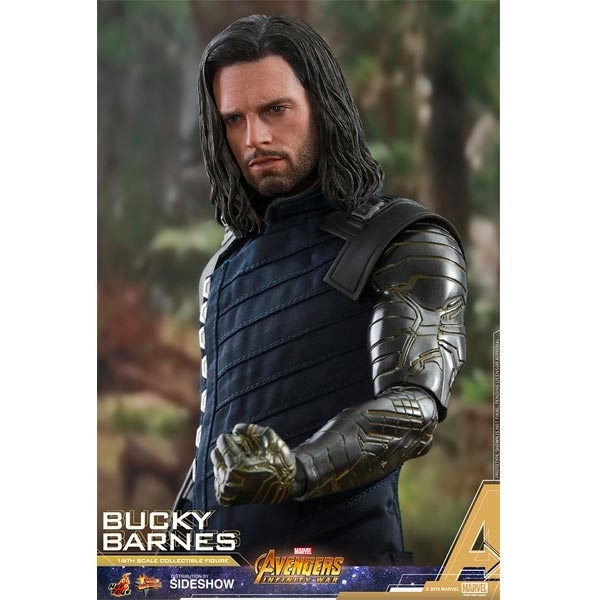 Sideshow and Hot Toys are very excited to present the new Bucky Barnes Sixth Scale Collectible Figure from the marvel-ous Avengers: Infinity War line up. Masterfully crafted based on the portrayal of Sebastian Stan as Bucky Barnes in the movie, the movie-accurate collectible figure features a newly developed head with striking likeness, a finely tailored tactic suit, two highly-detailed prosthetic arms with one arm half turning into dust recreating the mind blowing scene, also with a number of weapons and accessories including a machine gun, a dagger and a specially designed hexagonal figure stand with the movie logo!